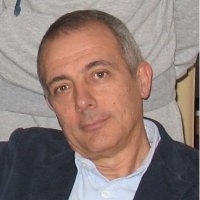 Gaetano Mazzanti /Italy/ spent 20+ years in the Software and Machinery Industry. After a short introduction about the role of metrics in the 'learn and change' loop, we will define and introduce metric quadrants in terms of process, product, team maturity and business. We will discuss which metrics fit where and which correlations exist between different quadrants. We will then check how motion charts may help us in understanding the evolution of various data/properties/artifacts including tests, code and backlogs. And speaking of backlogs, given that a backlog is a queue (as such it should be removed, shouldn't it), our closing topics will be queues, flow and different ways to measure WIP.